X-CEL aerosol isused extensively at open pit mining operations (coal, gold, copper, molybdenum, platinum) throughout the United States and Canada. The product can be conveniently taken anywhere within the mine site and is the preventative maintenance cleaning product of choice for all electrical and mechanical equipment positioned throughout the property. EPA 2000® is usually sold to the mine in 55 gallon drums or 345 gallon stainless steel tote bins and used both in the shop and in the field. It is a very effective open gear lubricant (OGL) remover and is the leading dragline and excavation equipment cleaner in North America. EPA 2000 is used to clean all switchgear, swing pinion assemblies, hoists, center pin assemblies, bull pinion and rack gears, and is also effective for removing oil. EPA 2000 will not freeze or “ball up” and is perfect for cleaning equipment at mine sites where the freeze/thaw cycle is of particular concern. 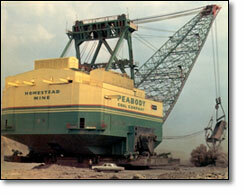 used throughout the United States at electric generating stations. 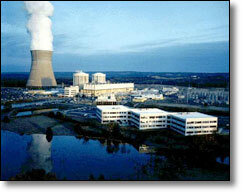 X-CEL-IC and EPA 2000 are both approved for use at nuclear power plants. Either product, depending on the rate of evaporation desired, is an excellent choice for electrical equipment cleaning applications. and compatible with all insulating materials and varnishing systems. Both products are the only cleaners that have been tested by Von Roll Isola and proven to be safe for their varnishing systems #74033 and #9637.
in the BWR Operator’s Manual (scheduled for print in May 2008) as recommended materials for cleaning motors at all GE BWR nuclear power plants.